A few of our pumpkin transplants are soaking up the Nebraska sun. 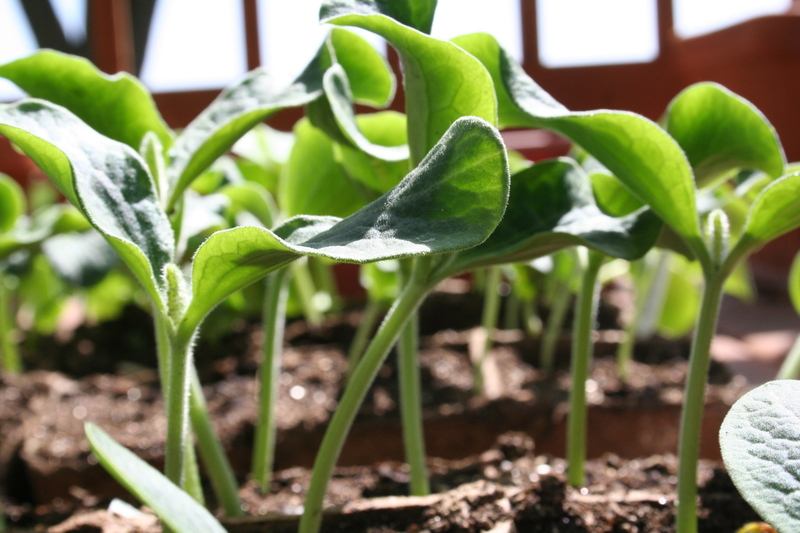 We have been gearing up for the 2009 growing season by starting hundreds of pumpkin transplants at the farm. Although it is more labor intensive and a little more costly, we prefer to set out transplants instead of seeding directly into the garden for part of our crop. Some of our seeds are hard to get, and more often than not, we have only a small handfull of somewhat pricey seeds of any particular variety. By starting the seeds as transplants in small environmentally friendly peat pots, we can better control their germination and growth . To date we have over 250 transplants out in the field! 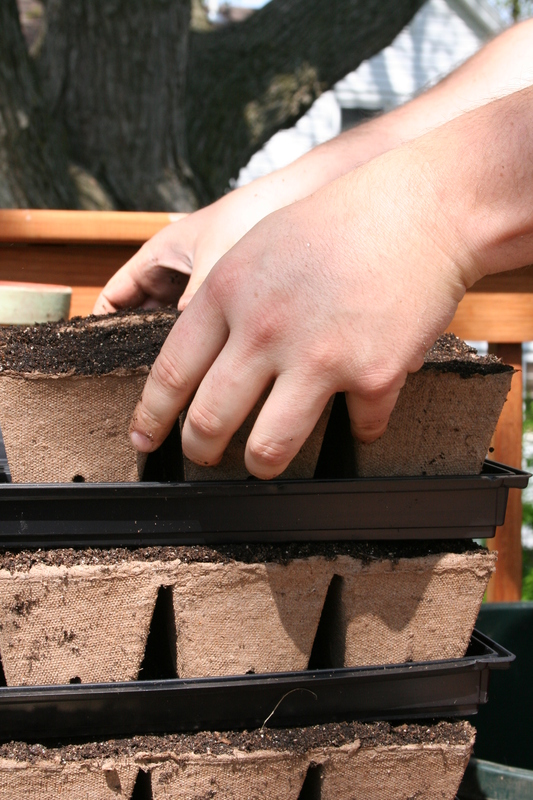 Busy hands filling flats of peat pots so the planting can begin! 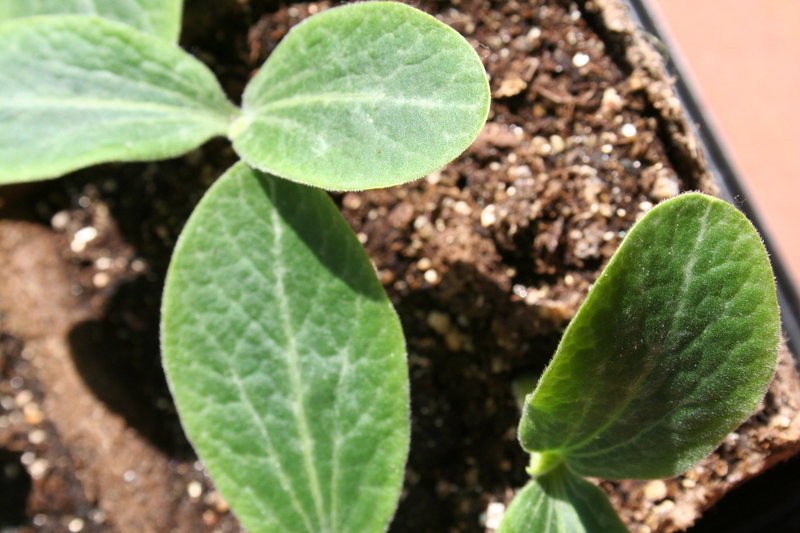 The first two “leaves” are not true leaves, but are called “cotyledons”.